It's our 2nd time to visit Villa Escudero. Visiting Villa Escudero is like looking back to an old rich Filipino tradition and culture. It's like getting back to an old ways where hacienderos and farmers working all day to aim a bountiful seasons harvest. And when time comes for the harvest season, a festive celebration was held with different kind of old Filipino games and off course folk dances inspired by different cultures all over the Philippines. Villa Escudero is located at the boundaries of Tiaong Quezon and San Pablo Laguna but most its land belongs to San Pablo Laguna. Originally the land was planted with sugar cane then later on it was transformed to a useful coconut plantation where most of its land hectare are used. The plantation was opened to public in 1981 as a tourist attraction offering village tour where you can experience the glimpses of plantation life style, museum tour where you will see different kind of family collections of religious ornaments back from the Spanish era, fine class clothing's, ancient kitchen wares and artifacts coming from various places that the family collected during their explorations, and a glimpse of history about different kind of wars and political events happened and how the village survived. There you can also experience how Filipino courtship was in the ways of expressing the love of Don Placido to Dona Claudia at their time. Visitors can also be welcomed by a Carabao cart ride or an electric jeepney tour to the entire village and takes the visitors to the resort area surrounded by a park-liked setting while being serenaded by locals music or haranas. Dining is truly a memorable experience that is offered in a very unique and traditional Filipino food in an Al Fresco style setting where the bamboo dining tables are situated below the spillways of the hydroelectric dam or the 'Labasin waterfalls' while diners enjoy their lunch dipped in the flowing calf-deep water. And water rafting in the lake Labasin in a unique bamboo raft. Later attraction included authentic live cultural dance show choreographed by a well known National Artist Ramon Obusan and performed in a live musical play. Dancers are garbed in a beautiful costumes which are customary Baro't saya made of pine and abaca and Malong that symbolizes southern Philippines ethnicity. It's only here at Villa Escudero where I appreciated the costumes because it is well and elegantly made and crafted compared to what was selling in the malls even with the expensive ones. But unfortunately it's only exclusive for Villa Escudero use only. Watching the performances came into my mind that faces of the performers looks familiar. When the show ended, all of the performers was introduced then it only revealed that they came from different departments from the engineering department who maintains the hydro electric plant and facilities, down to the customer service representatives and persons in charge in the souvenir shops. Villa Escudero have developed a worldwide reputation as a focal point to experience Philippine culture and history in a beautiful rural setting. The resort has since expanded to offer accommodation, more restaurant, sports facilities and recreation, conference rooms, and wedding ceremonies. 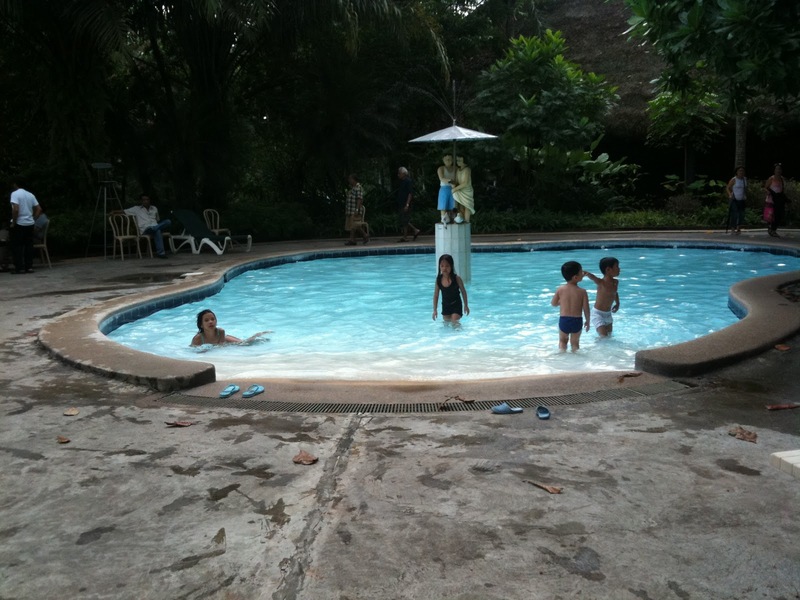 It also offers 3 swimming pools suitable for kids and adults. 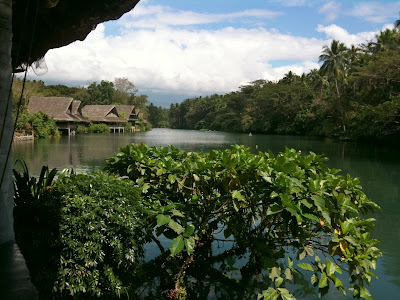 We had a wonderful experience at Villa Escudero. My parents are very happy as I saw in their faces. We only had a whole day pass but its worth remembering. 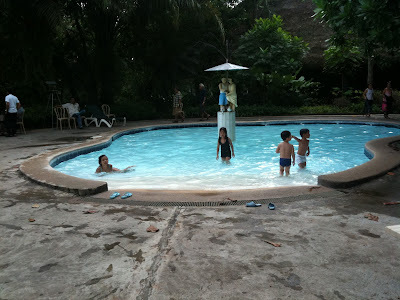 Whole day pass cost only Php 1,250 for adults and half rate for kids. Tickets includes Bamboo rafting, Carabao ride and my favorite which is the buffet lunch at the side of Labasin waterfalls. You do not have to worry about your things or luggage's if you bring in a lot because they have locker rentals available at the Customer counter near the pool for only Php 100 and half of it is refundable after you return the key. Worth it isn't it, and there are lot of things to do inside the village. You can also enjoy the remarkable experience at Villa Escudero in an accommodation which includes a three (3) full board meals. For inquiries on the latest packages and accommodation, visit their site or click the link below.